Wow! We made it through two books of this epic series! For those of you who have stayed strong with me, give yourself a pat on the back, this is a serious accomplishment and I am proud that we have made it this far! Go #SOIFRA!! As we all know, Game of Thrones just concluded it’s third season, which means that for the first three books I haven’t been as surprised as some of our other readers. I think this is a really fun thing because it gives me a different feeling while reading the books, that being said, I can’t wait to go into the rest of the series “blind,” to what is coming. With that in mind, I found that reading A Clash of Kings really provided some much needed detail on many of the characters and their motives. I was especially affected by the THINGS that came up that I knew to be foreshadowing events in future books, specifically book three. I was literally taking pictures of parts to send to Amy, who has already read the series with little notes like “This is interesting,” and “EEP!” because it is a totally new experience to know what is coming next (in detail) prior to reading! This entry was posted in Read-a-long and tagged Game of Thrones, read-along. Bookmark the permalink. OMG cut it out with talking about the foreshadowing!!!! I’M ALL ANXIOUS. I GOTSTA KNOW. I loved hearing more about Dany. I was all “whatevs” in the very beginning of book one, but she’s definitely one of my favorite characters. I still love Arya (even though I know you’re not crazy about her). I’m really excited to get to book three with ALL THE THINGS. The suspense is killing me! Okay, seriously, I am DYING to catch up on my reading for #SOIFRA. 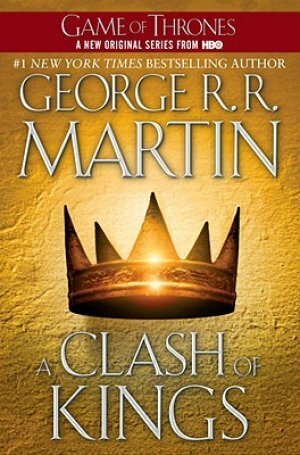 I’m currently about a third of the way into A Clash of Kings – and really liking it. I actually prefer it to A Game of Thrones, but probably because I feel like the story is continuing to unfold. It’s been really great to learn about these other characters and their motives and GAH, YOU HAVE ME SO EXCITED. I am stumbling on your review from Brittany’s. I must admit that could not wait to be finished with Cat’s narratives. They were like speedbumps for me. Tyrion is so awesome indeed, and I cannot wait to see where is character goes. I stopped at Storm of Swords, because I cannot find the 4th one where I live. Hope you enjoy the rest of your readalong! Seriously happy dancing over here. The Cat and Cersie chapters were always the ones I had a hard time with. And Bran tbqh–I always WANTED to be really into his story, but never have been. Though both Bran and Cat’s do get better. I love that there’s so many different characters for people to love though, I’m mostly a die hard Arya fan, but also enjoy Dany and Jamie and Tyrion and Jon…and yeah, the Bolton family is the most effed thing in these books. And that’s saying something. 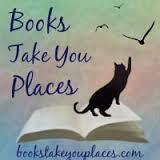 Hope you’re settling in and enjoying some good cuddle time with cats and boys and books!